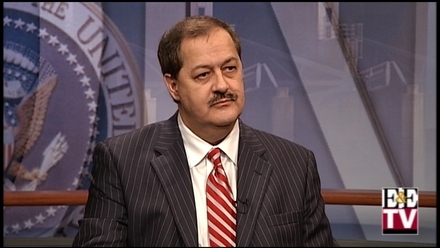 Massey Energy CEO Don Blankenship has been an outspoken critic of the science behind global warming and the push for climate legislation for decades. As Congress continues to move forward with cap-and-trade legislation, Blankenship says an emissions plan will send jobs overseas and hurt the economy. During today's OnPoint, he gives his take on the Senate's climate debate and explains why he believes the world has entered a period of global cooling. Blankenship, who is also on the board of directors of the U.S. Chamber of Commerce, discusses recent controversy surrounding the chamber's stance on climate legislation and explains why efforts to develop carbon capture and storage technology should be stopped.